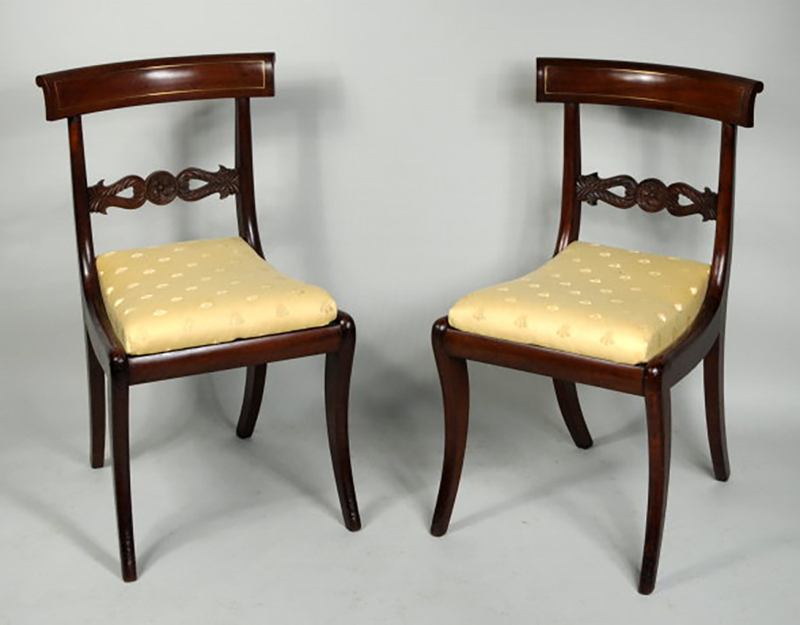 Thomas Schwenke, Inc. 50 Main St. North Woodbury, CT 06878 fedfurn@schwenke.com www.schwenke.com Pair of Classical Chairs Fine pair of carved and brass inlaid mahogany side chairs, with curved and rolled crest rails with brass string inlay, set on stiles centering a carved horizontal splat with carved central boss and leafage, with slip seats raised on shaped sabre legs. Some repairs, old finish. Philadelphia, circa 1815-1820. 33" high, 20" wide, 18" deep.